With hydraulic fracturing and horizontal drilling making headlines, oil prices still in flux, and other energy related trends impacting your clients’ business, it’s essential for you to clearly understand the issues so you can impart that knowledge to your clients. 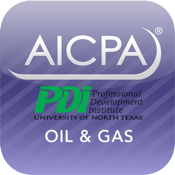 To help strategically guide you through these challenging times, the AICPA and PDI have jointly developed the National Oil & Gas Conference. Join leading experts and senior professionals for a comprehensive look at the financial, legislative and political issues facing the oil and gas industry.